A gorgeous Bio Polymer wood finish made from natural pine resin, special linseed oil and our pure beeswax. No polyurethane! 88% Solids, 99.1% Natural, 96% Renewable, 92% Regionally Derived with 17% Recycled Content. This is the best wood finish in it's class! Bio Poly Natural is a beautiful wood finish that penetrates the wood grain and leaves a buttery smooth flat to satin finish. It nourishes the wood and brings out the natural character. It's one of the easiest wood finishes to apply and make it look like it was done by a master. Easy to apply - Wipe on, wipe off. It saturates the wood fiber cell. The wood absorbs the nourishment it needs. Wood can be handled right away since Bio Poly Natural penetrates deeply and works within the wood. Covers 600-800 sft per gallon, making it a great value. Bio Poly is our best interior oil stain and the best looking interior wood finish in existence. Sample pints are recommended for creating a completed sample for approval in advance. LEED-H Gold Certification. Bio Poly Natural on all Timbers. The Heart Pine Wood Floors are buffed with Bio Poly Natural and top coated with NanoTech Clear 00. The best looking wood finish for Timber Frames and Log Home Interiors. Bar none. When rubbed on Trim and Wood Furniture the corners get a sweet cararmelized glow and the wood is still able to breathe and reflect light out. Bio Poly NT is an all Natural Wood Finish. It is one of the most beautiful natural wood finishes available today. The exquisite character of wood is brought out for full illumination. No plastic barrier is created on the surface. Bio Poly uses advanced technology to make the wood itself part of the coating. This is done by coalescing rich tree resin, plant oils and minerals within the freshly saturated wood. High surface density means there is more resin per square inch in the wood. ​Resin goes deep into the wood fibers and creates a 3D effect within the grain that is captivating and alive. The wood grain seems to move when different light shines in. This always brings rich ambiance and character to any space. Bio Based Not Petro Based: One of the other great things about using a natural wood finish like this is that it is 100% RENEWABLE. Not only is it a georgeous wood finish but it can be grown back forever! The Pine Resin is RECYCLED from paper manufacturing and is hypoallergenic. Very easy on the hands when used as a rubbing oil finish. Simply wipe on with a rag and wipe down. The wood chatoyance can be increased and figuring accentuated as desired. Wood pieces can be handled immediately because Bio Poly Natural penetrates deeply into the wood fiber cell. Inside the wood it is able to nourish and protect by forming a hard resilent bio polymer internally. Multiple coats bring the lustre to the surface and provide a flawless finish that appears like a film but is actually more of a french polish type finish. This can be seen well in the piece pictured. The sheen is from a fully nourished wood fiber cell that remains breathable yet glows naturally. Not polyurethane. Bio Poly! This is a natural wood finish with unrivaled beauty. It is easily Rubbed into wood trim or furniture Our local pine resin does not dry out like ordinary rubbing oils such as Tung or Linseed. It brings out the wood grain in an amazing way! Bio Poly Natural is a complex combination of oils beeswax and pine resin. It is a unique and durable wood finish formula that protects the surface and can be washed and maintained very easily for decades. ​Perfect for anyone who loves a natural wood finish. Bio Poly Natural is a georgeous finish when machine buffed into a hardwood Floor. Many people like the look of tung oil or polymerized oil but want something tougher that doesn't dry out as fast. Bio Poly is the answer. 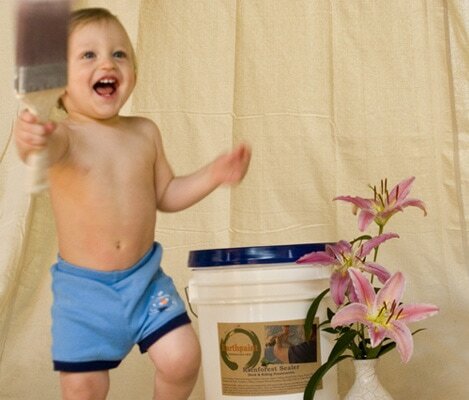 ​A floor that is buffed with Bio Poly NT is a floor that everyone will love, especially barefoot! ​ Yes. It can even handle dogs and pets! This is ideal for rustic floors, bedrooms and low traffic areas. It can be spot maintained just like waxing a car. For higher traffic floors we recommend applying NanoTech over Bio Poly. A rich wood stain for floors, cabinets and trim. Stains wood while enhancing the wood grain illumination. Bio Poly Natural is the best wood stain to use for projects where oil stain is called for. It has a long working time and is easy to apply. It will bring up the undertones of the wood beautifully, allowing the woods inherent hue to shine out through the stain. 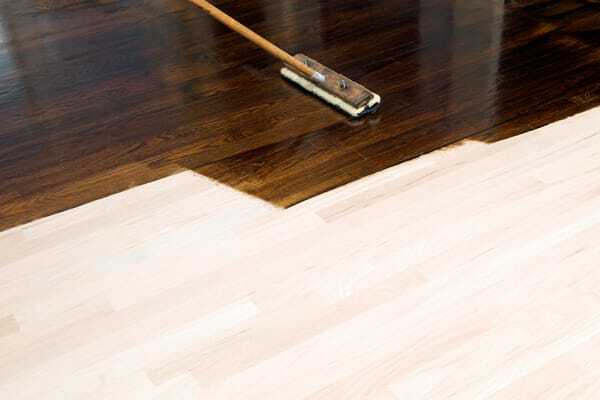 This is one of the secrets to getting a darker toned stain that isn't totally opaque like paint but shows lively wood grains. Bio Poly Natural is also helpful when trying to stain wood a light tone and give it that rich oil based quality. 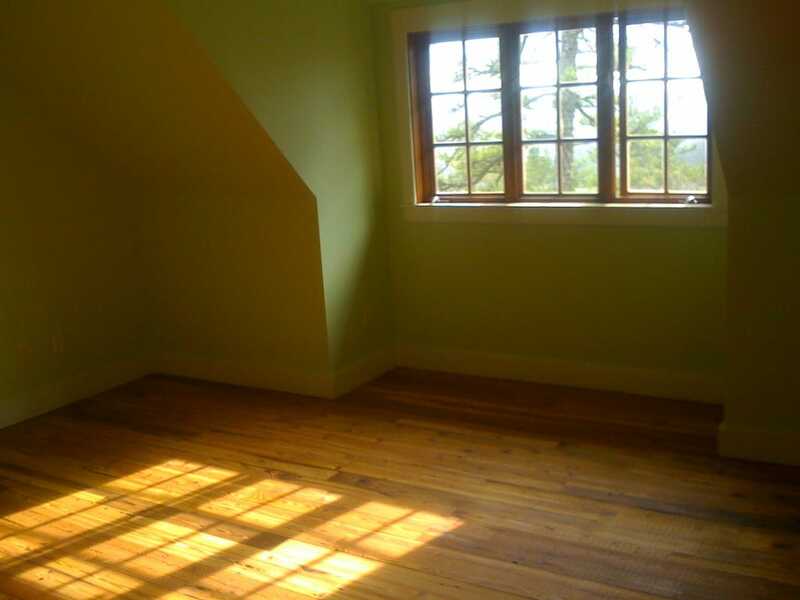 ​It's a great stain to use when trying to color the wood yet enhance the wood grain illumination. Wipe on. Wipe Off. Simple. ​Because no film is created on the surface Bio Poly has an excellent maintenance feature. Instead of the old way where you had to live with the scratches and scuffs until either the surface was recoated (ugly) or stripped (caustic); Bio Poly offers the ability to “spot maintain” the wood surface. No stripping. This is because the wood is a vital part of the coating, you wouldn’t want to sand this off. Just clean and prep the surface appropriately. Rub in another coat and wipe it dry. The wood soaks in what it needs and regains the nutrients that keep it lively and glowing. Bio Poly Natural penetrates and seals concrete. It is easy to apply and maintain. Eliminates the need for extensive grinding. Never Peels! As long as the concrete is porous, the coating will penetrate and provide protection from water, stains, traffic, dirt and dust. This busy commercial design studio opted for Bio Poly Natural with Butter Toffee on their concrete floor. Applied with a floor machine it is easily maintained. The best looking wood finish from the Earth!